As an iFast customer, you have access to a private webpage called Global Interface (GI). A “ping” tool is available on GlobalTT’s website. It helps you validate that your broadband Internet connection is working and enables you to test the delay of your satellite connection. Get graphs with your bandwidth, the protocols opened and the number of used Gbytes per application. Have a clear view of the used and remaining Gbytes of your quota subscriptions. 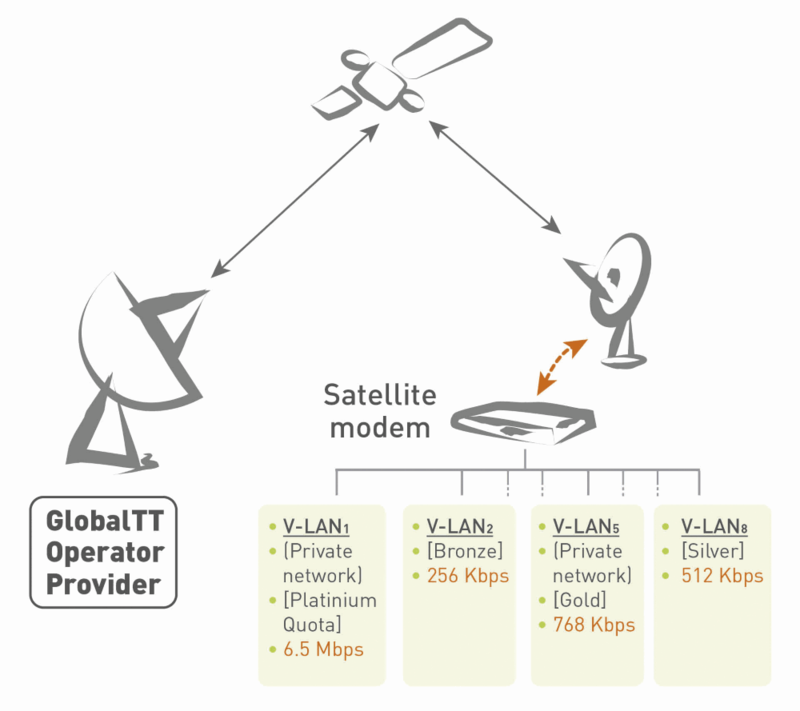 The Satellite Virtual Network Operator is a GlobalTT.com service for active resellers (only). 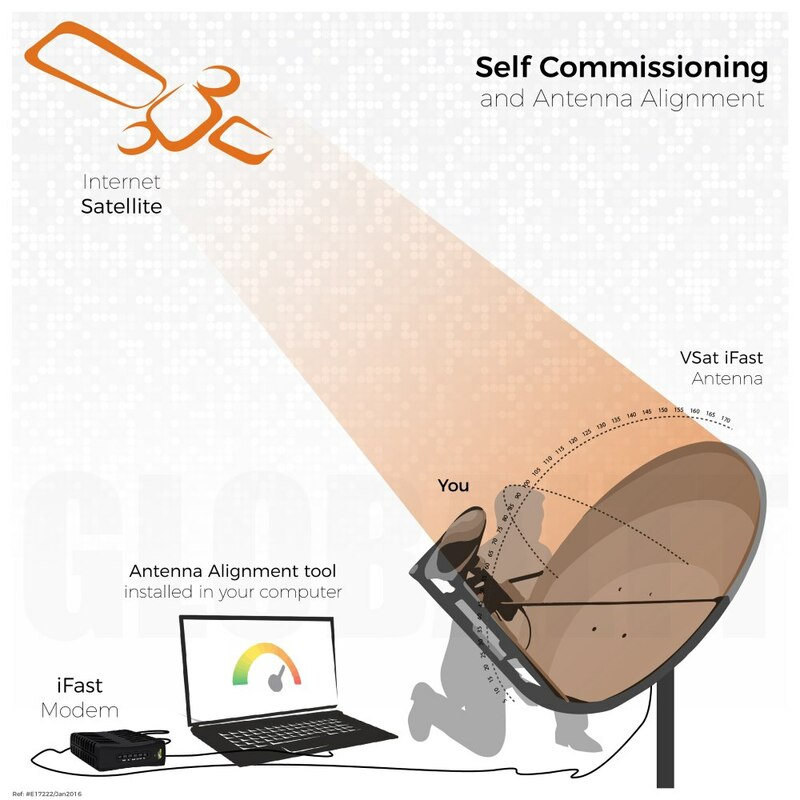 With a webinterface hosted by the GlobalTT server, you appear as a satellite operator and manage your clients’ broadband and Internet consumption. 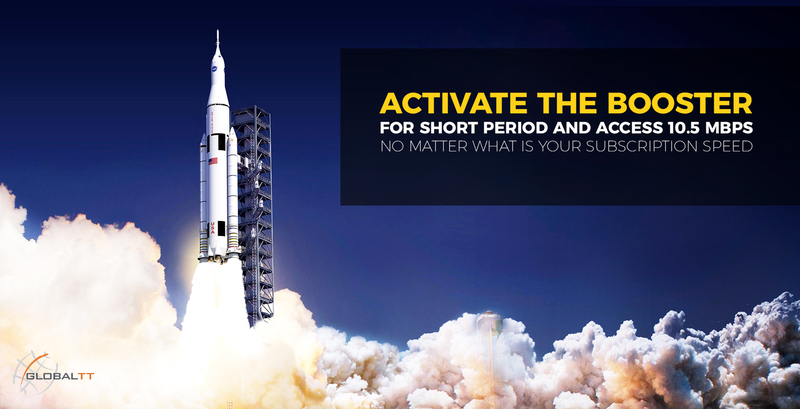 Access the service even from the remote V-Sat you need to activate. Your satellite Internet subscription is activated immediately. Your broadband use has changed and you require a subscription upgrade ? 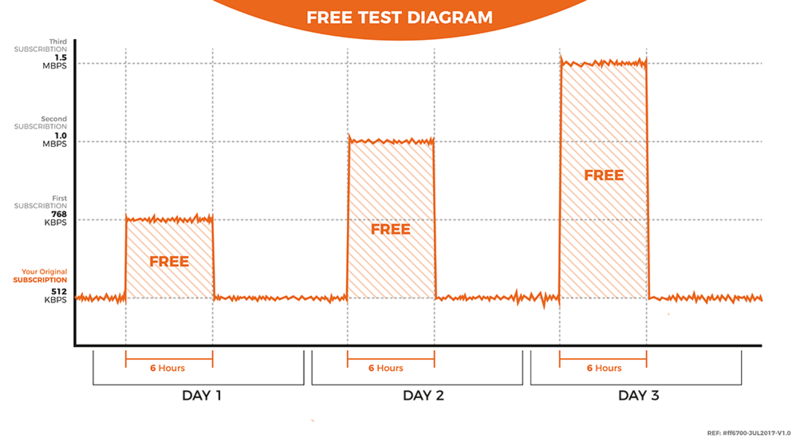 We give you the possibility to do 3 free subscription tests. Tests are not available for expired service/subscriptions. Longer subscriptions tests (3, 4 or 5 days). 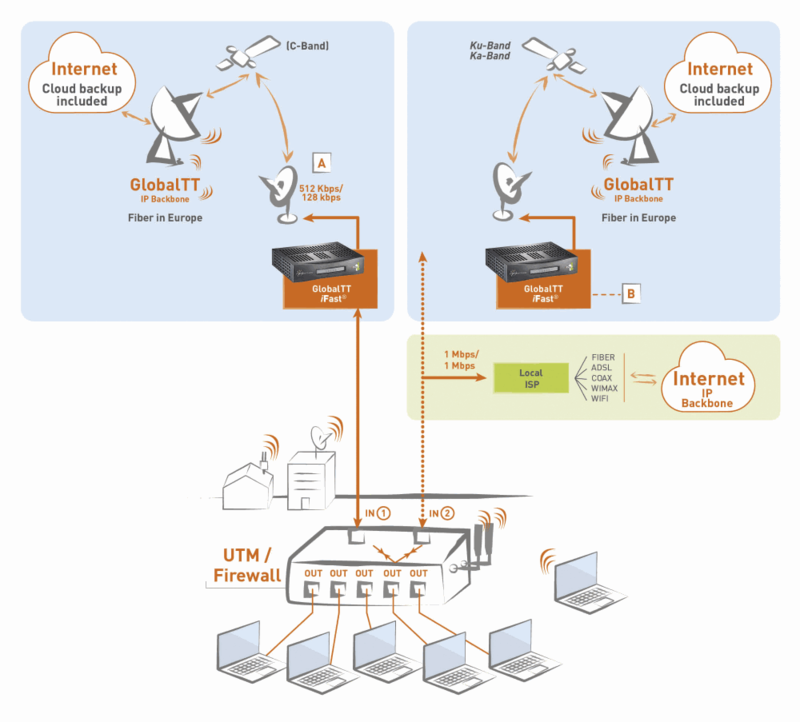 For multiple subscriptions behind a Vsat (up to 8 sub-Vsat). Enables many different LAN links with separate IP and rules. The Cisco® IP V-Sat Module + GlobalTT combination provides a complete hardware and broadband connectivity solution. The solution is composed of a Cisco satellite network module hardware component that is integrated with a Cisco router and a network service subscription offered by GlobalTT. The Cisco IP V-Sat Module solution as a back-up/disaster recovery connectivity available on V-Sat, with near-instantaneous switchover time. 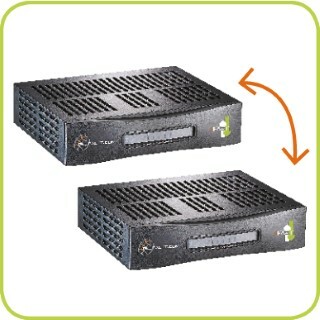 One of your modems has been struck by lightning and you have another modem in stock/not used? 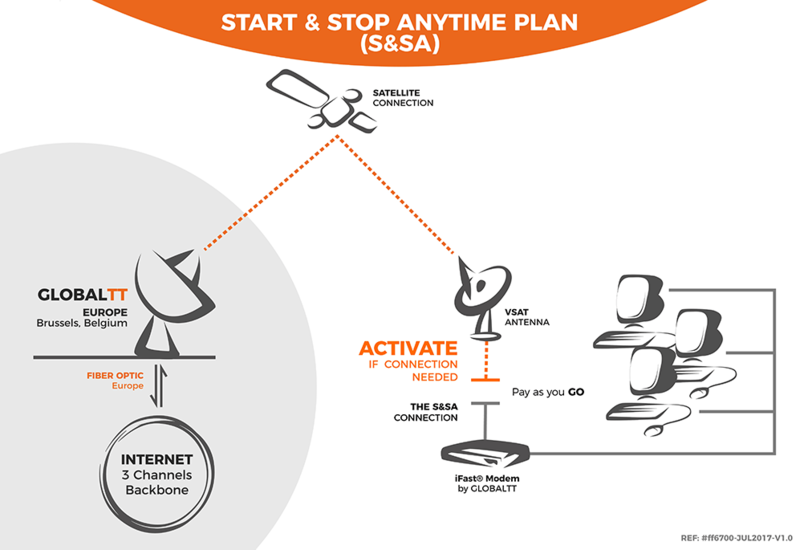 You continue with the same broadband subscription, with the same end dates, etc. Only available between stations of a same customer. Do you sometimes want to authorize the Internet access for specific applications only ? Our Access list option is the solution ! Dedicated access service, connect to the GlobalTT HotSpot Captive Portal (Long or Medium Range) to offer rural wireless broadband. A point to point communication. Nobody else except you can access into your VPN ! Interconnection service between two (2) iFast stations. Intended for a group of V-Sat in a company on the same footprint. It guarantees a very high quality of service for this group. Satellite access connection available just in case the other existing Internet solution fails. 3 different speeds available (1Mbps, 2Mbps or 3Mbps). In case you do not need the upgrade anymore we refund you.